By partnering with us, you’re not only ensuring a finished project that exceeds expectations, but you’re also securing peace-of-mind throughout the process with transparent planning and execution every step of the way managed directly by an experienced leadership team. We are in the relationship business; we get to know not only the project, but our clients to make sure we are delivering on their needs and surpassing their expectations. To ensure we maintain our own high expectations of quality, Martin & Cobey leadership at the president and vice president level works directly with the client throughout each phase of the project. We take care of our people, ensuring little turnover and consistency in service and delivery for long-term projects and return clients. We believe the success of a major project is in the details, which is why we sweat the small stuff so our clients don’t have to. We want our clients appraised every step of the way, which is why not only are we transparent as we execute our projects, but we are also putting a premium on informing the citizens we build of how we’re moving their community forward. Because we care about the communities we work in, we are further invested in the success of our projects for our clients, going above and beyond to deliver a superior and lasting project. MARTIN & COBEY WAS ESTABLISHED IN 1964 because we wanted to play an active role in the building of our community. The capabilities and experience we accumulated at home and the success we’ve had with our projects allowed us to expand our services throughout the region. Today, more than 50 years later, we’ve led the construction of over 1000 schools, churches and facilities, building a wealth of design, construction and management knowledge and ability that we actively use to make our clients’ vision become a greater reality than they could dream of. Rest assured, our long, proven history will be to the benefit of your future. Brian has been with Martin & Cobey since 1984 while still attending Auburn University where he graduated in 1987 with B.S. in Building Science. Brian served as Vice-President of Martin & Cobey from 1991-1999 where his responsibility included take-offs and pricing of all projects. Brian became president of Martin & Cobey in April 1999 and continues leading and growing the business into a regional company. Brian serves on several boards including the Board of Directors for Alabama Contractors Association; Industry Advisory Council-College of Architecture, Design and Construction, Auburn University; and the Board of Directors for Bank Independent. Brian is also a member of the Construction Management Association of America and a member if the International Conference of Shopping Centers (ICSC). Frederick began his career with Martin & Cobey in 1984, working as a laborer and office assistant until 1989. After graduating from Auburn University in 1992 with a B.S. in Civil Engineering and becoming certified as a professional engineer soon after, Frederick worked as an Environment Engineer for ADEM from 1992-1996. Frederick joined Martin & Cobey again in 1996 as a project manager and became a partner and named Treasurer in the company in 1997. 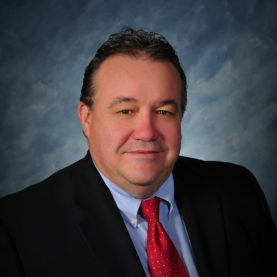 In April of 1999, Frederick became Vice President and Treasurer of Martin & Cobey Construction Company in which his responsibilities include project cost analysis, pre-planning, scheduling and supervising project management. Jim graduated from Auburn University in 1990 with a B.S. in Building Science and a minor in Business Administration, while working for K&M Glass Company as a laborer and glazer in many types of commercial glass construction. 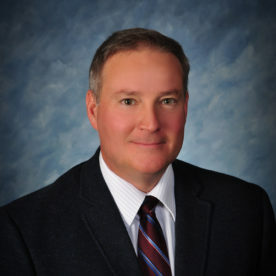 Jim joined Haywood Jones Electric Company in 1996 as a company manager, where he managed all daily business activities that included commercial, industrial and institutional contracts. Jim is now the Sr. Construction Manager at Martin & Cobey. 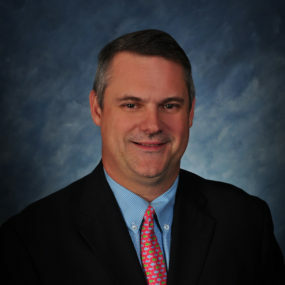 He is affiliated with several industry groups including the Construction Management Association of America (CMAA), the Alabama Contractors Association (ACA) and the Associated General Contractors (AGC). He is the past Board chairman of the North Alabama chapter of the Associated Builders and Contractors (ABC). He is currently a vice president for the North Alabama chapter of the AGC. Bryan graduated from Auburn University in 1987 with a B.S. in Accounting. 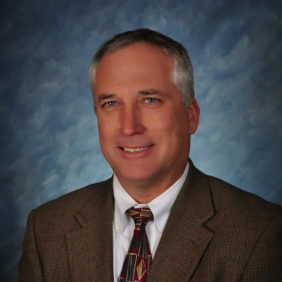 Bryan became Controller for Wehadkee Yarn Mills soon after graduation while continuing his studies at Lagrange College and earning his MBA in 1992. In 2001 Bryan joined Martin and Cobey as CFO and manages the financial assets for the company. His responsibilities include analyzing statistical information to evaluate the operational results in terms of cost, budgets, profitability, policies of operations, and interpretation of new business trends and increased profit opportunities.